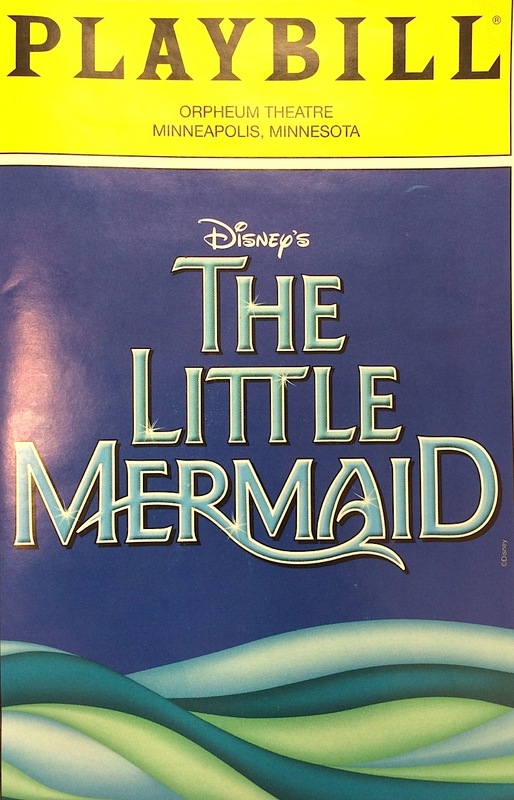 Quite a number of weeks ago I went to the Orpheum to see the new touring production of "Disney's The Little Mermaid." It is a production by Houston's Theatre Under The Stars and is a re-imagining of the original Broadway production. So I am pretty sure I don't need to go over the story of The Little Mermaid. What I will mention is that there are a few changes between the animated movie and the stage production. I think most the most important change is that Ursula (Jennifer Allen) and King Triton (Fred Inkley) are siblings. You find out the story in the great song "I Want The Good Times Back" but in short - the sea was divided between Triton and Ursula. 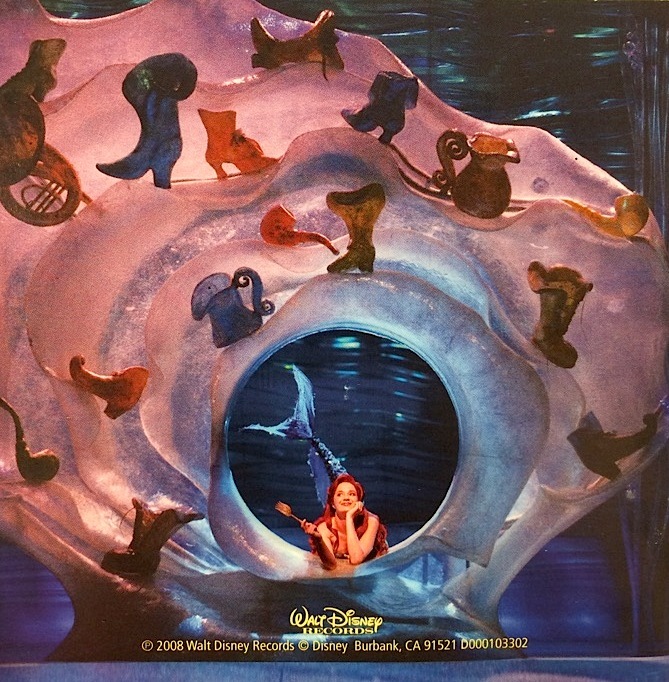 Triton also received the trident, while Ursula received a magic shell. This change creates more drama because it isn't just an Evil Witch doing bad - there is more to it, and it makes the character of Ursula more rounded. 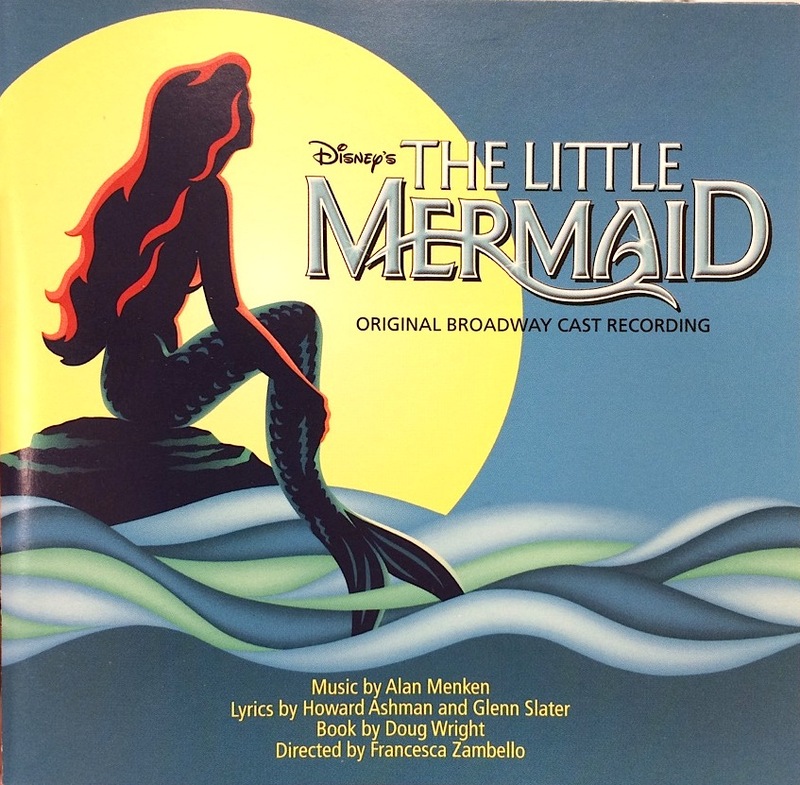 The other change is that Flounder (Adam Garst) is teen-aged and has a crush on Ariel (Alison Woods). While this detail does help in a song called "She's In Love," I think it takes away from the power of friendship that the movie shows. It also makes Flounder a less noble character because it is clear he is helping Ariel only because of his crush, not because they are real friends. From what I know of the original production on Broadway, everyone wore Heelys so that they could move around smoothly. The merpeople (or at least Ariel) also had a a long skirt to cover their legs along with a built-up tail piece. The photos I have seen of the original production are imaginative but a bit confusing. This new production though was imaginative and simple - two of my favorite theatrical devices. All the merpeople wore robes with long side panels that they continually moved back and forth while also moving their body. This continual movement perfectly characterized underwater movement. Flounder, being a teen-age boy, was using a hoverboard to get around, and looked a bit like a punk with a mohawk. 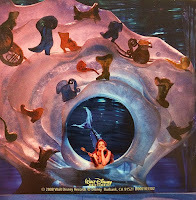 Ursula was in a large octopus dress with her legs being moved around by Flotsam and Jetsom. These two eels were the only ones in the production wearing Heelys - and they really don't work well in showing continual movement. The show itself was charming. There were a few songs that stood out - "Under the Sea" and "Poor Unfortunate Souls" but nothing too exciting. Sebastian (Melvin Abston) has a great voice and uses it well. He knows how to lead a showstopper. Ursula was fantastic in both of her big numbers. She had a great big voice and knew exactly how to use it. I also have to give kudos to Jamie Torcellini who played Scuttle. The role is a true comic role, and his number at the top of act two "Positoovity" was fantastic! I mean - tap-dancing gulls with a kickline? Who can resist? I found the overall production to be very good. They dealt with the movement/swimming problems very well. 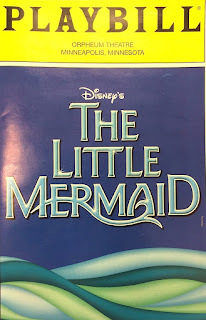 I believe both Eric and Ariel had some time flying/swimming on wires (or at least their doubles did) which allowed for some quick scene changes with the lead actors still in the correct role. All in all, I am glad I saw the show to see how some problems can be solved, but I doubt I would see it again. However, the house was filled with plenty of kids who were quiet and paying attention through the whole show so that right there says more than this review ever could. ps: I missed press night so photos are from the original cast recording, and the program.